With the rise of e-commerce and digital media businesses, an increasing number of users are buying products & services online. Thanks to tools like Google Analytics, you can record the behavior of your users and use that data to identify behavioral attributes of buying users as well as churning users. To take this a step further, what if we told you that you can also identify users similar to your buying users & get a prediction of which users are most likely to convert in the next 7 days. According to CMO.com Retargeted Ads has average 10% higher CTR (Click Through Rate) then Display Ads. Predictive Analytics further improve this average by allowing business to remarket users with the highest propensity of converting, in turn, saving hundreds of dollars of remarketing spends. In this webinar, our Data Science lead Bismayy will take you through how Purchase Prediction tool can help your business to intelligently remarket to your visitors by ensuring superior customer experience and saving you inefficient remarketing spends. How Purchase prediction can help improve Re-marketing campaign efficiency? How to execute purchase prediction in Re-marketing campaign? About PredictN – Cloud hosted product, C4M Capabilities. 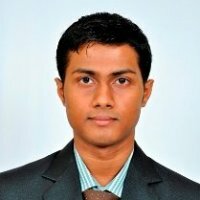 Bismayy is a Product Manager at Tatvic. He has developed Badger, an intelligent insights generation engine powered by Machine Learning. He is working with team to develop PredictN, an automated prediction SaaS platform for businesses to boost their marketing RoI. He applies R, Python, Cloud Prediction models to help clients make sense of their digital analytics data. He loves playing and following football.